Immigration reform? Remember that matter? The nation is getting all tangled up in this discussion over whether to build Trump’s Wall along our southern border. Democrats and a growing number of Republicans don’t want it; Donald Trump’s followers — led by the cadre of talk-radio blowhards — are all for it. What I am not hearing — maybe I’m not paying enough attention — is any serious discussion about how we might actually apply a permanent repair to the problem of illegal immigration. 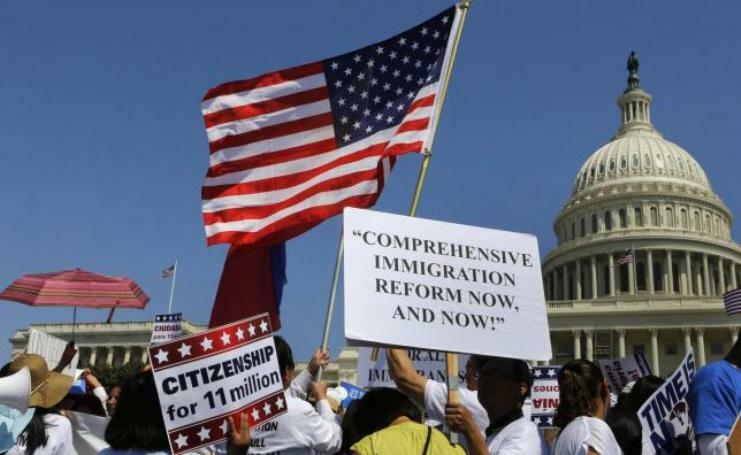 How about turning our attention to serious immigration reform legislation? We keep making feeble attempts at it. We get sidetracked and discouraged because too many members of Congress are resisting those calls for reform. Then we hear about data that tell us that a huge percentage of those who are in the United States illegally are those whose work visas have expired. So, they arrive here legally but become illegal residents because those visas have run out. 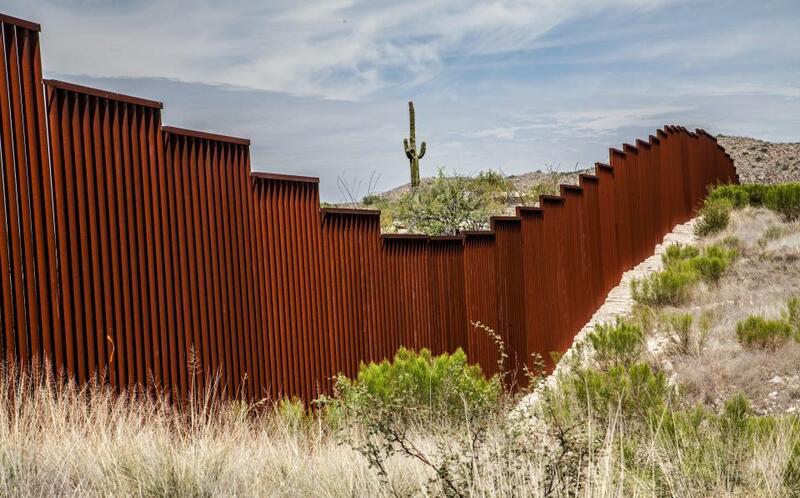 These one-time legal residence then are called “criminals” and “lawbreakers.” The become fodder for the president and his supporters to erect that wall along our southern border. Can’t there be a concerted push to hire more administrative personnel for the Immigration and Naturalization Service to process these visas or to speed up citizenship requests from those who want to become Americans? The president did offer a form of compromise during that partial government shutdown by suggesting a three-year reprieve from deportation for so-called Dreamers, those who were brought here as children when their parents sneaked in illegally. That’s a start. However, Donald Trump connected that idea with more money to build his wall, which made it a non-starter for those who oppose The Trump Wall. So now the president has declared a “national emergency.” There is no such thing on our border with Mexico. The only “emergency,” it seems to me, rests with the interminable delays that occur when foreign-born residents’ work visas run out or when they seek citizenship to the Land of Opportunity. How about getting busy applying a permanent repair to the problem? 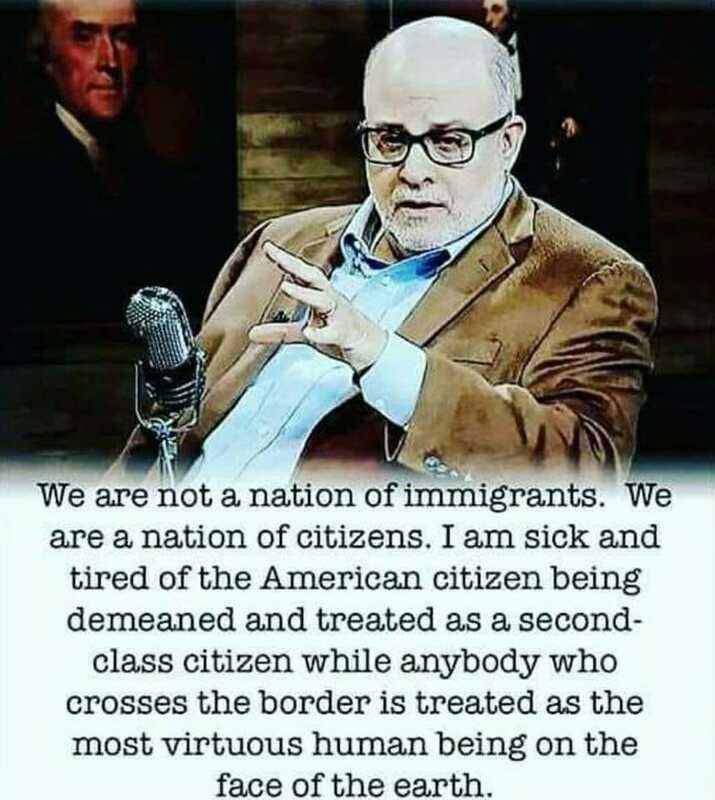 The quote under the picture is attributed to the fellow in the picture, right-wing lawyer and radio talk show host Mark Levin, who is engaging in some of the worst hyperbole I have seen in this debate over immigration, illegal immigration and immigration reform. For starters, we damn sure are a nation of immigrants. I don’t know the first thing about Levin’s background, but given that he appears to be an white guy, my strong hunch is that his familial forebears came from somewhere other than the backwoods of wherever he was born. I am the proud grandson of immigrants to came to this country in the early 20th century. I have a deep pride in my Greek heritage. I make no apologies for it. And yet . . . I consider myself to be an American patriot. I have gone to war for my country. 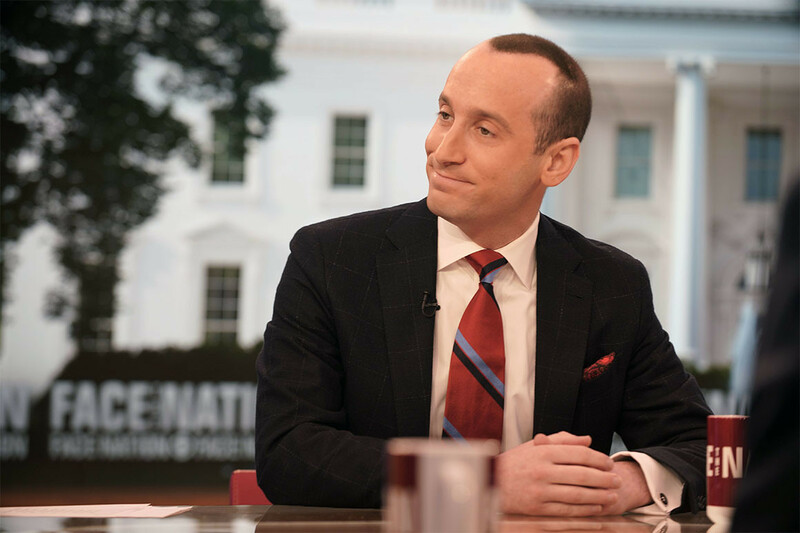 So, to suggest that to be an American citizen is somehow mutually exclusive from living in a nation of immigrants is the most disgusting demagoguery imaginable. Again, hyperbole in the extreme. But as it is with these radio talkers, their “fan(atic)s” take their word as some sort of gospel. They glom onto their message, pass it on, giving them a life of their own. I’ll concede that I do not listen to Mark Levin; I don’t listen to talk radio of any political stripe. It’s just that when these messages show up on social media platforms and get otherwise good folks all riled up, I am compelled to speak my own mind. Levin is entitled to his opinion. Just remember: Opinions are like a certain body orifice . . . everybody has one. Where did this ‘open borders’ nonsense originate? 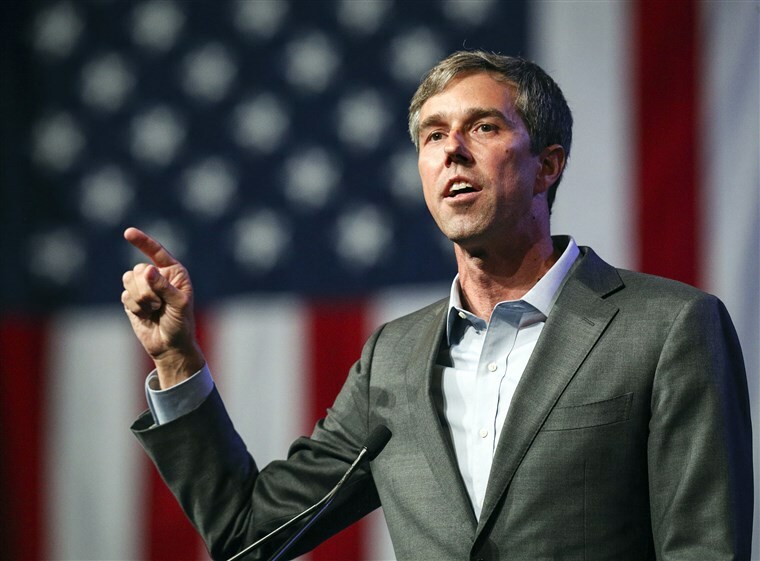 I have taken a look at Democratic U.S. Senate candidate Beto O’Rourke’s campaign website. I looked high and low for anything in there that suggests that O’Rourke favors “open borders.” I cannot find it. Which makes me wonder: Where is this nonsense coming from, other than from the pie holes of demagogues intent on distorting the young man’s record. You can look for yourself on the link attached directly above this sentence. Sen. Ted Cruz, O’Rourke’s Republican opponent, accuses O’Rourke of favoring “open borders,” suggesting that he wants to let anyone walk into this country without any kind of documentation. I don’t see anything approaching that kind of policy on Beto’s policy profile. Oh, and then we have the Republicans’ Demagogue in Chief, Donald John Trump, saying the same thing on campaign stumps across the country as he seeks to bolster the campaigns of GOP candidates. O’Rourke and other Democrats keep talking about “reforming immigration policy.” They want a policy that doesn’t result in erecting a wall along our southern border. They want to allow the so-called “Dreamers” — immigrants who were brought here illegally as children by their parents — to remain in the United States, the only country they know; they want to grant the Dreamers a “fast track” to obtaining U.S. citizenship. O’Rourke wants to “modernize the visa system” to enable employers to fill jobs that Americans won’t do. This is reasonable stuff, man. It doesn’t call for an opening up of our borders. It doesn’t suggest that we allow anyone — including known criminals — free and unfettered access to the United States of America. This kind of perversion of stated public policy is nothing new. It’s been going on since The Flood. However, I still detest its effectiveness when pitched to a gullible audience. Rob Tibbetts’s broken heart has not rendered him silent. 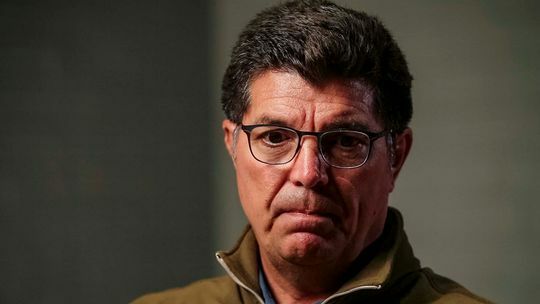 His daughter’s death at the hands of a man suspected of being in this country illegally has been cause for politicians to use Mollie Tibbetts’s memory as a political football. Her dad is having none of it. Rob Tibbetts wrote in an emotional op-ed in the Des Moines Register: The person who is accused of taking Mollie’s life is no more a reflection of the Hispanic community as white supremacists are of all white people. To suggest otherwise is a lie. Justice in my America is blind. This person will receive a fair trial, as it should be. If convicted, he will face the consequences society has set. Beyond that, he deserves no more attention. Mollie Tibbetts disappeared several weeks ago while jogging along a rural Iowa road. Her body was discovered just recently and a man stands accused of her murder. The suspect reportedly is here as an undocumented immigrant. Yet politicians, including the president of the United States, have jumped all over this tragic case as a reason to round up every illegal immigrant in this country and deport them to the country of their birth. It’s a maximum overreaction to a human tragedy. Rob Tibbetts does not want his daughter’s death to be used in this manner, as he stated in his essay. You can read it here. 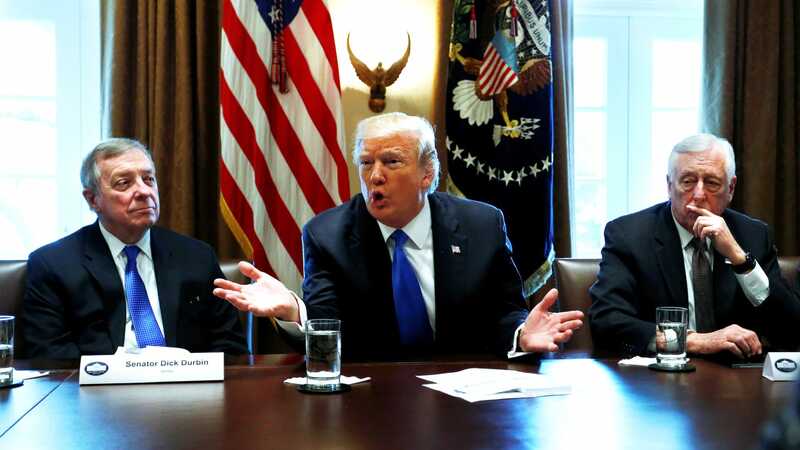 Which is it: shutdown or deal on budget? On one day, the president of the United States declared there would be a government shutdown if Congress didn’t come to a decision on an immigration package that secured our borders. That is that. No deal, no government. “I would love a shutdown” if there’s no deal to build a wall. “Without borders, we don’t have a country,” Donald Trump declared. The next day, U.S. Senate Democratic and Republican leaders cobbled together a budget deal that funds the government for two years. It’s a bipartisan agreement. Oh, and it doesn’t have any money for the wall the president wants to build across our southern border. No worries, said the president. He’ll sign it if it gets to his desk. So, which is it? Does the president want the wall or does he want to fund the government and avoid a shutdown that could occur later this week? Honestly, I prefer the second version of the president’s current view. I believe he should sign the bill if it clears the House of Representatives, which at the moment is going through a revolt among members of its most conservative members. They hate the bill because it spends too much money and, yes, doesn’t include money for the wall or other border security measures. Here’s what I hope happens. The House agrees on the Senate bill, they send it to the White House, the president signs it and then all sides — Democrats and Republicans in Congress and the president — get to work immediately on resolving the issue of immigration. A viable government needs to proceed without the imminent threat of shutting down. I am one taxpaying American citizen who is damn tired of this Band-Aid policy of running the government. Can we just agree to keep the entire federal government functioning and serving all Americans while our representatives do what they were elected to do? This record needs to stand for a long time. U.S. House Democratic Leader Nancy Pelosi of California believes strongly in immigration reform. She believes so strongly in it that she is able to talk for a verrrry long time about why Congress needs to enact it. Pelosi put her commitment to the test today. She took the floor of the House and spoke — non-stop, without a break — for eight hours. She argued passionately on behalf of “Dreamers,” those undocumented immigrants who were granted a reprieve under the Deferred Action for Childhood Arrivals program established near the end of the Obama administration. That’s a filibuster-length harangue, only they cannot call it that in the House; only the Senate allows filibusters, which enables senators to talk about whatever the heck they want for as long as they want. Here, though, might be the most remarkable element of the Pelosi gabfest. The former House speaker happens to be 77 years of age. Do not accuse me of being sexist by mentioning Pelosi’s age; I would say the very same thing about a comparably aged male member of Congress if he were able to talk as long as Pelosi has done. Pelosi’s astonishing display of endurance is likely to remain on the books for a long time. Nice going, Mme. Minority Leader. Michael Wolff wrote a book, “Fire and Fury,” that alleges that the president of the United States is clueless about government and the issues of the day — among other things. Donald John “Stable Genius” Trump Sr. responds that the book is crap; it’s fiction; it’s fake. Then he convened an open-mic session in the White House to discuss immigration reform — and manages to demonstrate in real time the accuracy of Wolff’s description of Trump’s handling of affairs of state. The man is clueless! Really! He doesn’t have a clue! Trump said he’d sign whatever immigration bill the congressional leadership brought to his desk. Then came House Majority Leader Kevin McCarthy, R-Calif., to remind the president that, actually, he cannot make that promise. Why? Because the GOP base won’t stand for just any old immigration bill, such as something that doesn’t include construction of a wall along our nation’s southern border. This is deal-making? This is how the “art of the deal” gets done? What the White House actually accomplished Tuesday is the opposite of what it set out to do—set the bar low and show a president carrying out presidential tasks competently. If this had been Trump at the first tee, he’d have shanked it 50 yards into the woods. Into the bargain, the White House staff took more mulligans than (Bill) Clinton ever did. Aside from giving in to his Democratic captors, all the king’s men couldn’t keep him from going off script to long nostalgically for the olden days of Jack Abramoff memorial earmarks. Read the rest of Carlson’s essay here. Wolff actually stated in “Fire and Fury” that the White House operates in a state of constant confusion, chaos and contradiction. I believe we have seen a demonstrable example of what Wolff wrote.